DAVID LE/Staff Photo. 2/12/15. 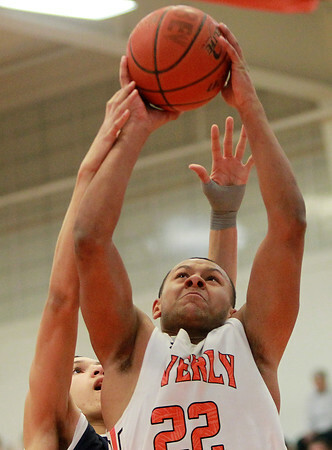 Beverly senior forward James Aaron (22) goes up strong to the rim after beating Peabody sophomore forward Moisse Irizarry, left, during the first half of play.